2019 events and booking available now! Whether you’re competing in the Etape du Tour or the ETU, let us take the stress out of transporting your bike to and from your event with our economical delivery service. We safely transport bikes to a number of triathlons and sportives across Europe including the Etape du Tour, Ironman, ETU, ITU, Maratona dles Dolomites, La Marmotte, Lanzarote, Italy, France and Mallorca. With our low-cost bike transport service your bike will be collected from your home and safely driven to your event where it will be waiting for you on your arrival at your hotel, fully built. Once you’re done, we’ll pick up your bike and drive it back home again. 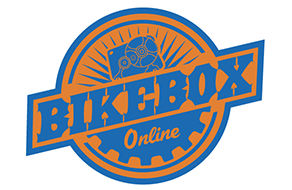 Book and pay for your bike transport early and save ££££’s – it works out cheaper than a week’s box hire and Ryanair’s sports equipment costs. We can also offer discounts for groups if we can collect your bikes from one central address.